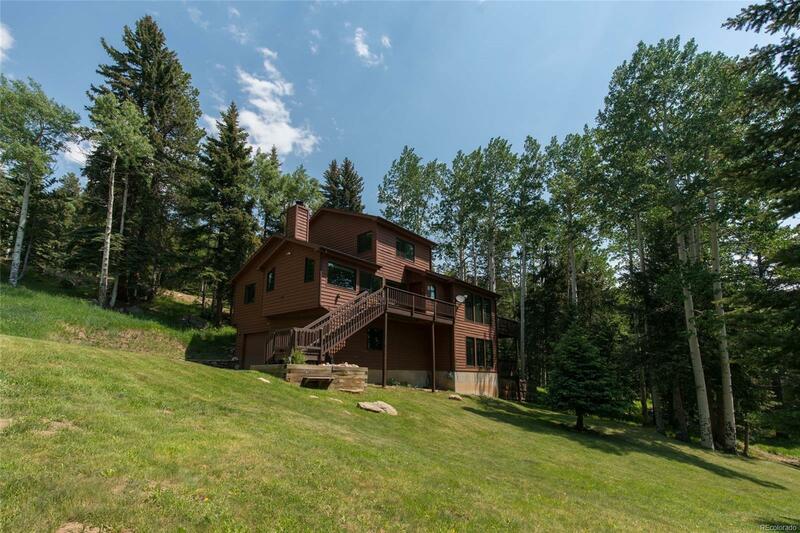 This stunning home sits on a tranquil 1.47 acre lot, has great views, privacy and is adjacent to a large tract of National Forest land. Perfect for those wanting easy access to nature and activities. Just 20 minutes to I-70! The kitchen is beautifully updated with an eating area surrounded by windows, granite counter tops, an island and stainless steel appliances including a gourmet 6 burner Wolf range. Unbelievable views! The upper floor holds a private master suite, master 5 piece bath with jetted tub and walk in closet. In the large living room, there is a wood burning stove and numerous windows to enjoy the views. Natural light and serenity abound! The lower level has a large laundry room and a pellet stove in the family room with a walk out door to enjoy the lower deck. Close to many trailheads and just 15 minutes to Echo Mountain Ski Area. This home is along the Clear Creek school bus route. Mountain living at its finest!